Hi, I have issues streaming to Chromecast from my Iphone with the APP. As this seems to be a known issue (see dedicated thread) I was not aware of your issue mentioned above. 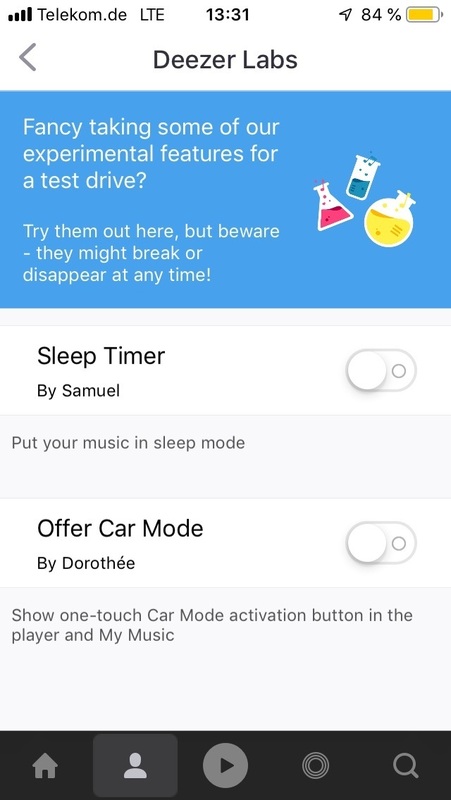 No, what I mean is an option in Deezer Lab named “Offer car mode” and yes I have to deactivate it at home. Hi, Thank you for coming back. I wasn‘t aware of Car Mode nor Deezer Labs. Eventually I found it. But Car Mode has not been activated. However I‘ve learned something new. Guess we have to wait for an App Update.